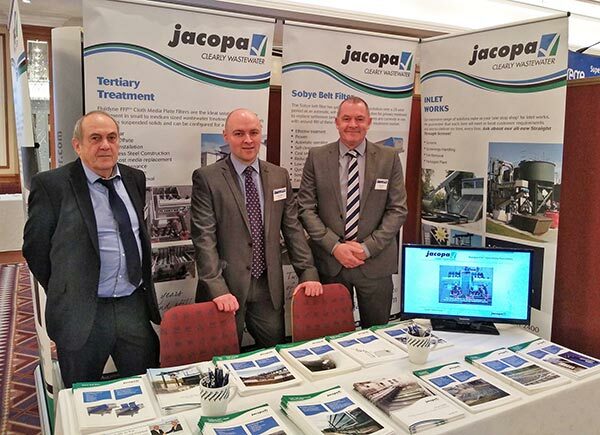 Stakeholders from across the industry are gathering today at the seventh annual WWT Wastewater Conference & Exhibition. The event is a comprehensive showcase of case studies, thought leadership, and innovative strategies designed to tackle all the current and future wastewater challenges in one place. 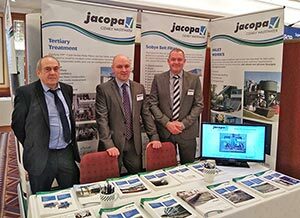 So unsurprisingly, wastewater technology and services experts Jacopa are there in force to present the company’s latest technology, ideas and innovations to tackle current and future wastewater treatment challenges. Pictured left to right are, Technical Sales Manager, Tony Simister and Key Account Manager’s, James Niebel and Mick Burton.